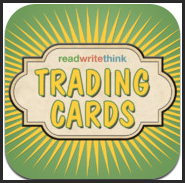 I saw a post from @rmbyrne recently about a FREE app from Read Write Think called Trading Cards. It sounded like something I would be interested in, so I downloaded it and began to play. This app has a lot of potential! I can see it being used across grade levels and across the curriculum. To get started you need to choose your topic and the category under which it belongs. 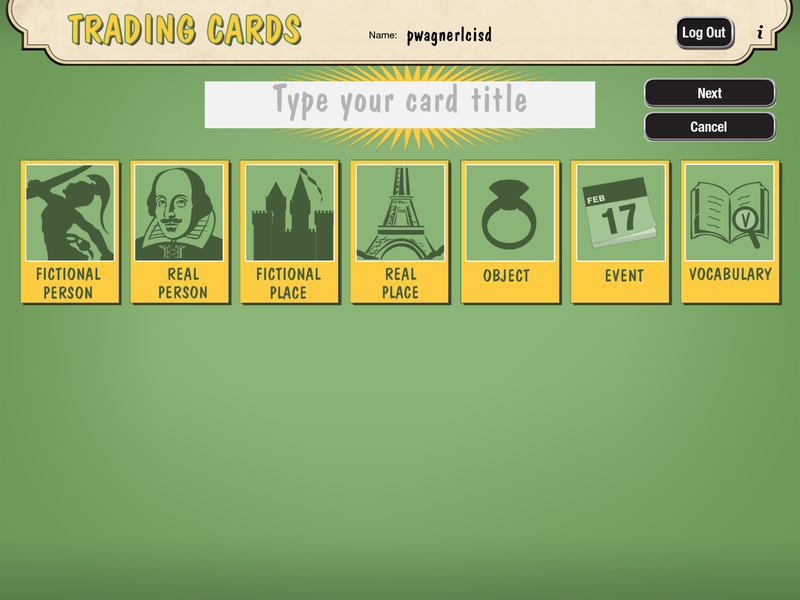 You can choose from Fictional character, real person, fictional or real place, object, event, or vocabulary. I would put some thought into this to make sure you are choosing the proper category. The app will pose guided questions for you to answer as you move through creation. Once you have selected your category you are able to start into the project creation. 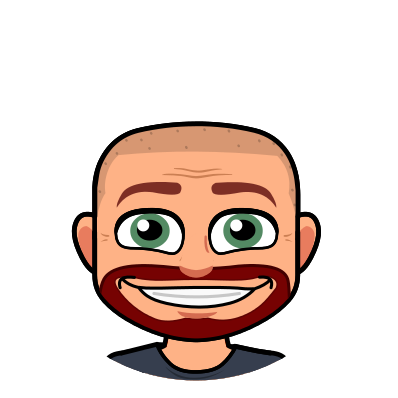 Insert an image of your topic by either taking a picture or importing from your camera roll. Then choose a card design. Once that is completed, start entering your data in the assigned fields the app has for you. When you click in a field guided questions pop up to help you understand what kind of information they are looking for. Your information is limited to 120 characters for each field. 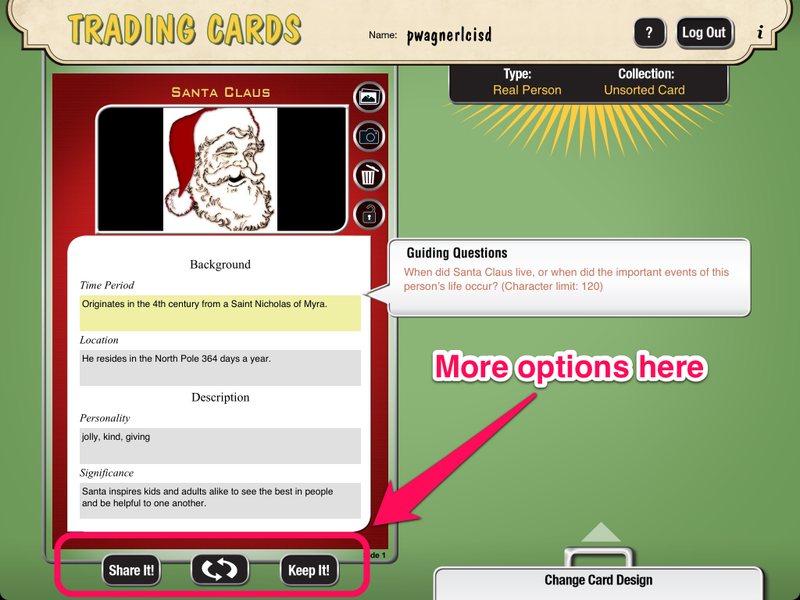 Use the buttons below the card to flip from the front of your card to the back, share your creation, or save it in the app itself. If you choose to share your creation, you have the option to save to your photos, send as an email, or send to a printer. 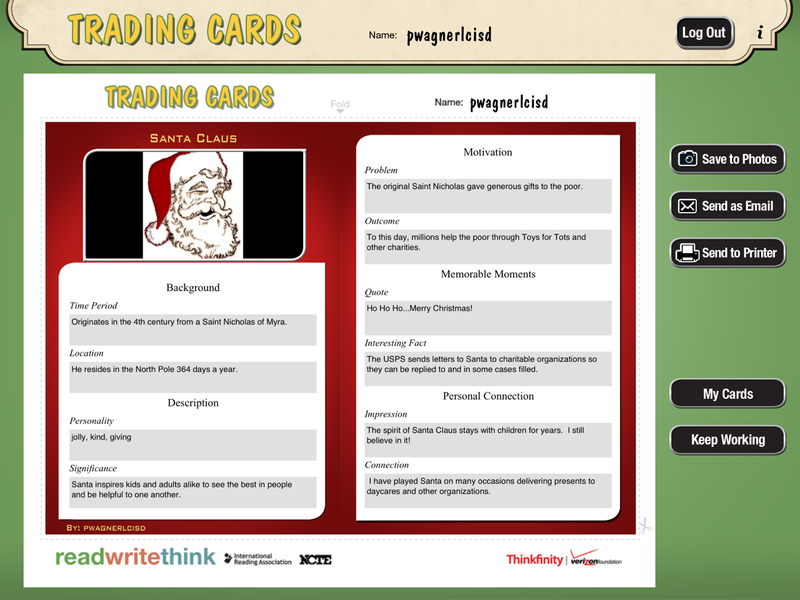 It gives you a preview of how your card will look. The intention would be to print them out. You can then cut and fold the card so that it becomes two-sided. I think these would be great for reviewing characters from a book the students are reading, reviewing vocabulary words, researching different locations, use as a study guide, and much much more! In need of a new project? 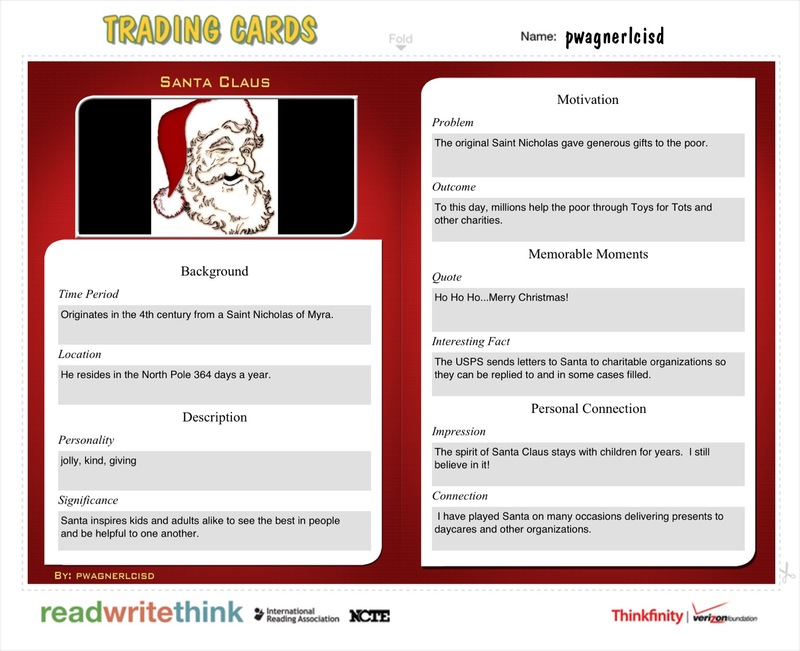 Give Trading Cards a try!